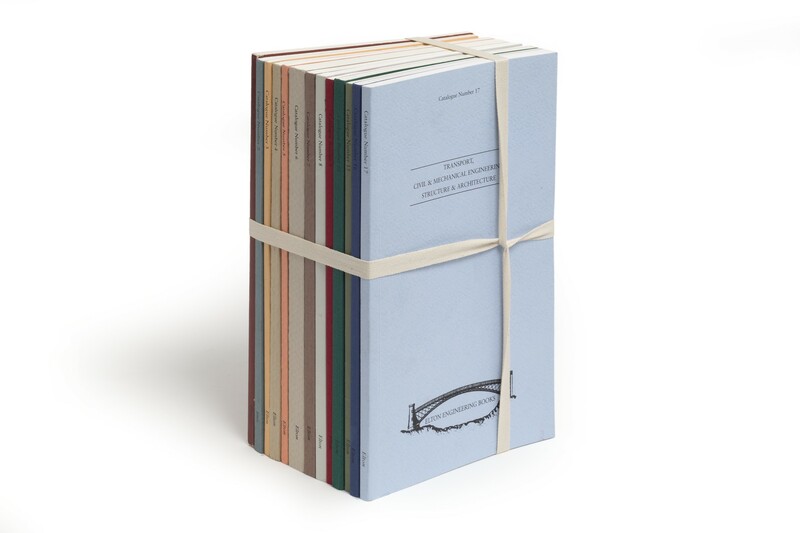 Thirteen volumes (24 cm), in publisher’s wrappers, as issued. ¶ Very good, unmarked copies. (24 cm), 75 (1) pp., illustrations. 100 entries; priced. Publisher’s printed wrappers. ¶ Good, unmarked copy. (24 cm), 75 (1) pp., illustrations. 147 items; priced. Publisher’s printed wrappers. ¶ Good, unmarked copy. (24 cm), 63 (1) pp., illustrations. 1117 items; priced. Publisher’s printed wrappers. - “The books forming catalogue 3 are from the library of late J.G. James [1926-1988]”. The remainder of his library is held on trust by the Institution of Civil Engineers, and known as the J.G. James Collection. ¶ Good, unmarked copy. (24 cm), 79 (1) pp., illustrations. 154 items; priced. Publisher’s printed wrappers. ¶ Good, unmarked copy. (24 cm), 55 (1) pp., illustrations. 98 items; priced. Publisher’s printed wrappers. ¶ Good, unmarked copy. 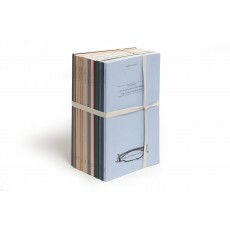 (24 cm), 158 (2) pp., illustrations. 345 items; priced. Publisher’s printed wrappers. ¶ Good, unmarked copy. 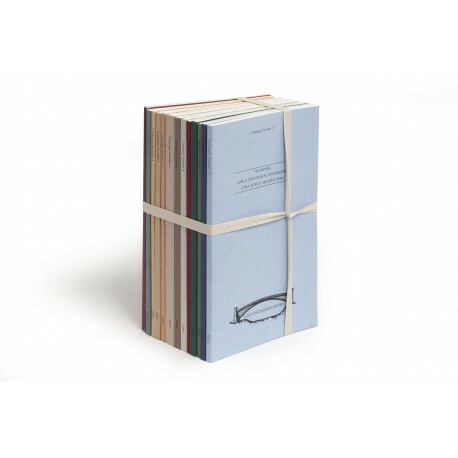 (24 cm), 95 (1) pp., illustrations. 194 items; priced. Publisher’s printed wrappers. ¶ Good, unmarked copy. (24 cm), 103 (1) pp., illustrations. 951 items; priced. Publisher’s printed wrappers. ¶ Good, unmarked copy. (24 cm), 79 (1) pp., illustrations. 155 items; priced. Publisher’s printed wrappers. ¶ Good, unmarked copy. (24 cm), 100 (4) pp., illustrations. 200 items; priced. Publisher’s printed wrappers. ¶ Good, unmarked copy. (24 cm), 63 (1) pp., illustrations. 100 items; priced. Publisher’s printed wrappers. ¶ Good, unmarked copy. (24 cm), 83 (1) pp., illustrations. 177 items; priced. Publisher’s printed wrappers. (24 cm), 94 (2) pp., illustrations. 170 items; priced. Publisher’s printed wrappers. ¶ Good, unmarked copy.